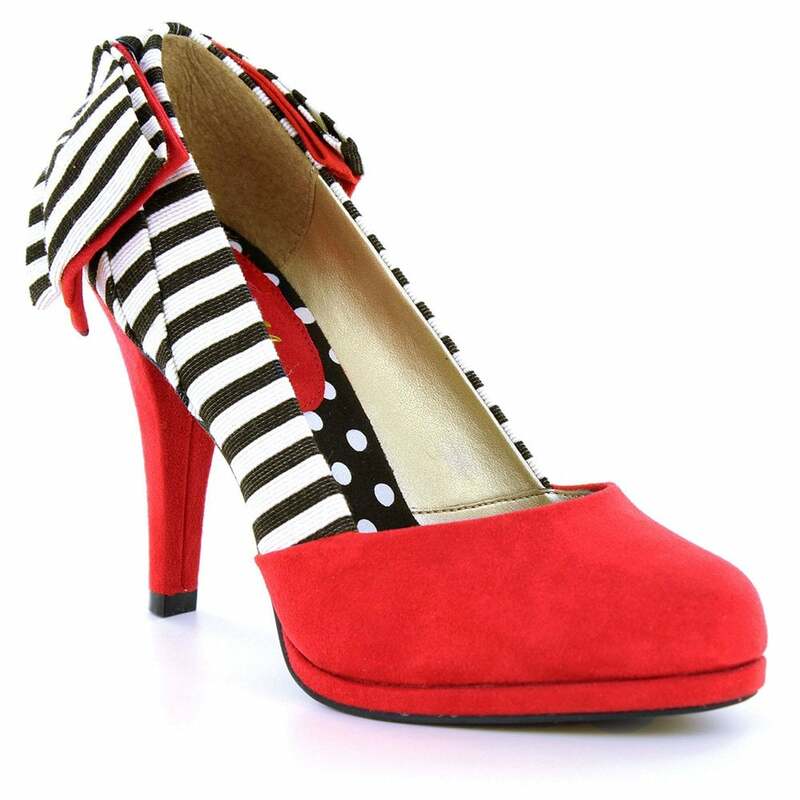 This is a seriously chic court shoe featuring sassy black and white stripes, with pillar box red faux suede. The Katie court shoe has a rubber sole that also carries the branding in an embossed gold stamp. Get yours today at Scorpio Shoes!